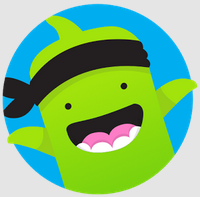 Last month ClassDojo launched a new video series that they are calling Big Ideas. The series is all about growth mindset as it pertains to classrooms. The series introduces students, parents, and teachers to big ideas or trends in education. ClassDojo's Big Ideas does this through the use of videos and accompanying discussion guides. The fifth installment in the Big Ideas series was released this week. This installment, embedded below, teaches students about the importance of attitude when facing a challenge in learning something new. A discussion guide for the video can be found here.